Before :- Sanjay K. Agrawal, J. Criminal Revision Nos. 399 and 420 of 2008. D/d. 5.9.2014. And Criminal Revision No. 420 of 2008. For the Applicant :- B.P. Sharma, Vivek Chopda, Awadh Tripathi and Vivek Tripathi, Advocates. For the Non-Applicant :- Awadh Tripathi, Vivek Tripathi, B.P. Sharma and Vivek Chopda, Advocates. Gurmit Kaur v. Surjit Singh alias Jeet Singh, (1996)1 SCC 39. Rohtash Singh v. Smt. Ramendri, 2000(2) R.C.R. (Criminal) 286 : AIR 2000 SC 952. Sukumar Dhibar v. Smt. Anjali Dasi, 1983 Cri.L.J. 36 (Cal)). Vanamala (Smt.) v. H.M. Ranganatha Bhatta, 1995(3) R.C.R. (Criminal) 210 : (1995)5 SCC 299. Sanjay K. Agrawal, J. - In both these criminal revisions, common question of law and fact is involved, as such, they are heard analogously and stand disposed of by this common order. 2.1. The non-applicant/wife filed an application under Section 125 of the Code of Criminal Procedure, 1973 (`Cr. P.C.' for brevity) stating inter alia that she was married to the applicant. She further pleaded that immediately after the marriage, applicant and his family members treated her with cruelty and demanded dowry. It was further pleaded that she was forced to live separately on account of valid and sufficient cause, as such, she is living with her parents. She further pleaded that a decree for divorce has been granted on 25/02/2002 by the Third Additional District Judge, Durg. It was also pleaded that though, she is practicing Advocate duly registered in the year 2004, but she is unable to maintain herself, whereas, the applicant is working on the post of Senior Technician in Bhilai Steel Plant, getting L18,000/- per month and prayer was made for grant of maintenance to the extent of L 5,000/- per month. 2.2. The present applicant/husband filed his reply admitting the fact of marriage with the non-applicant and pleaded that the decree for divorce on mutual consent under Section 13-B of Hindu Marriage Act, 1955 has been granted by the competent Court on 25/02/2002, and further pleaded that the dowry case lodged under Section 498A of the Indian Penal Code ("IPC" for brevity) has also been closed and the non-applicant being an Advocate duly registered has sufficient means to maintain herself, and as such, application for maintenance deserves to be rejected. 2.3. During the course of hearing, non-applicant/wife did not file any document, whereas, the applicant/husband brought nine documents i.e. Exhibit D/1 to Exhibit D/9 in support of his case, out of which Exhibit D/1 is a judgment and decree passed in Civil Suit No. 89-A/2000, granting decree on the basis of mutual consent under Section 13-B of the Hindu Marriage Act, 1955. 2.4. The Family Court, by its impugned order dated 03/05/2008, partly granted the application for maintenance finding inter alia that the non-applicant/wife has valid and sufficient cause to live separately and the decree for divorce granted on the basis of mutual consent will not disentitle the non-applicant/wife to get maintenance from former husband i.e. applicant and granted maintenance allowance of L 2,000/- per month. 3. Questioning the legality and validity of the impugned order of Family Court, applicant/husband has filed criminal revision No. 399/2008 for setting aside the order granting maintenance, whereas, non-applicant/wife has filed criminal revision No. 420/2008 seeking enhancement of the maintenance allowance. Both the criminal revisions have been clubbed together and heard analogously. 4. Mr. B.P. Sharma and Mr. Vivek Chopda, learned counsel appearing on behalf of the applicant/husband-Rishikesh Singh alias T.R. Singh, would submit that once the decree for divorce is granted under Section 13-B of the Hindu Marriage Act, 1955 on the basis of mutual consent, then by virtue of provision contained in Section 125(4) of the Cr. P.C., as they are living separately by mutual consent, the non-applicant/wife is not entitled for maintenance. They would further submit that the non-applicant/wife being the Practicing Lawyer has a sufficient means to maintain herself, therefore, the order granting maintenance deserves to be set aside. 5. On the other hand, Mr. Awadh Tripathi and Mr. Vivek Tripathi, learned counsel appearing on behalf of the non-applicant/wife-Kiran Goutam, would support the impugned order and submit that the Family Court has rightly granted maintenance to the non-applicant/wife overruling the objections raised by the applicant/husband. They would further submit that the amount of maintenance deserves to be enhanced in view of the income of the applicant/husband as said amount of maintenance granted to her is not just and reasonable. 6. I have heard learned counsel appearing for the parties, considered their rival submissions and also perused the record of the Family Court with utmost circumspection. 7. The short question for consideration is whether the decree for divorce granted on the basis of mutual consent under Section 13-B of the Hindu Marriage Act, 1955 would disentitle the non-applicant/wife to get maintenance in view of provision contained in subsection (4) of Section 125 of the Cr. P.C. (b) "wife" includes a woman who has been divorced by, or has obtained a divorce from, her husband and has not remarried." 9. Section 125 of the Cr. P.C. makes provision for grant of maintenance to wife, children and parents. Sub-section (1) of Section 125 of the Cr. P.C. inter alia provides that if any person having sufficient means neglects or refuses to maintain his wife unable to maintain herself, a Magistrate of the First Class may, upon proof of such neglect or refusal, order such person to make a monthly allowance for the maintenance of his wife, as such, Magistrate thinks fit, and to pay the same to such person as the Magistrate may from time to time direct. Clause (b) of the Explanation to the sub-section defines the expression `wife' to include a woman who has been divorced by, or has obtained a divorce from, her husband and has not remarried. "9A. Claim for maintenance under the first part of Section 125, Cr. P.C. is based on the subsistence of marriage while claim for maintenance of a divorced wife if based on the foundation provided by Explanation (b) to sub-Section(1) of Section 125, CR. P.C. If the divorced wife is unable to maintain herself and if she has not remarried, she will be entitled to Maintenance Allowance. The Calcutta High Court had an occasion to consider an identical situation where the husband had obtained divorce on the ground of desertion by wife but she was held entitled to Maintenance Allowance as a divorced wife under Section 125, Cr. P.C. and the fact that she had deserted her husband and on that basis a decree for divorce was passed against her was not treated as a bar to her claim for maintenance as a divorced wife. (See: Sukumar Dhibar v. Smt. Anjali Dasi, 1983 Cri.L.J. 36 (Cal)). 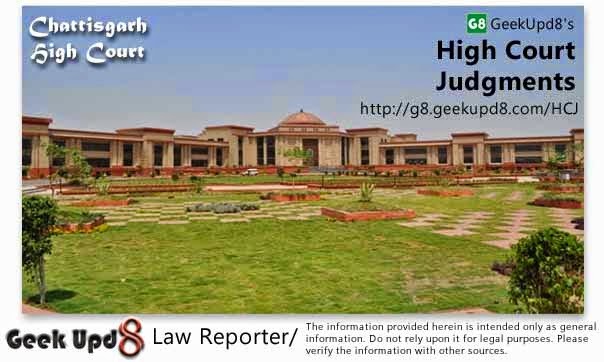 The Allahabad High Court also, in the instant case, has taken a similar view. We approve these decisions as they represent the correct legal position. 10. Learned counsel for the petitioner then submitted that once a decree for divorce was passed against the respondent and marital relations between the petitioner and the respondent came to an end, the mutual rights, duties and obligations should also come to an end. He pleaded that in this situation, the obligation of the petitioner to maintain a woman with whom all relations came to an end should also be treated to have come to an end. This plea, as we have already indicated above, can not be accepted as a woman has two distinct rights for maintenance. As a wife, she is entitled to maintenance unless she suffers form any of the disabilities indicated in Section 125(4).In another capacity, namely, as a divorced woman, she is again entitled to claim maintenance from the person of whom she was once the wife. A woman after divorce becomes a destitute. If she can not maintain herself or remains unmarried, the man who was, once, her husband continues to be under a statutory duty and obligation to provide maintenance to her." 11. Thus by virtue of Explanation (b) of Section 125(1) of the Cr. P.C., divorced wife is entitled for maintenance, if she is unable to maintain herself. "125(4) No wife shall be entitled to receive an [allowance for the maintenance or the interim maintenance and expenses of proceeding, as the case may be,] from her husband under this section if she is living in adultery, or if, without any sufficient reason, she refuses to live with her husband, or if they are living separately by mutual consent." 13. A careful and plain reading of the sub-section (4) of Section 125 of the Cr. P.C. would show that in order to invoke, this sub-section, the marriage must be subsisting on the date of questioning the wife's entitlement to get maintenance as question of living separately by mutual consent would arise only when their marriage is subsisting and once the marital tie is dissolved by valid decree of divorce, the relationship comes to an end and they are entitled to live separately as per decree of divorce, and question of living separately by mutual consent does not arise. "3......... On a plain reading of this Section it seems fairly clear that the expression `wife' in the said sub-section does not have the extended meaning of including a woman who has been divorced. This is for the obvious reason that unless there is relationship of husband and wife there can be no question of a divorcee woman living in adultery or without sufficient reason refusing to live with her husband. After divorce where is the occasion for the woman to live with her husband? Similarly there would be no question of the husband and wife living separately by mutual consent because after divorce there is no need for consent to live separately. In the context, therefore, sub-section (4) of Section 125 does not apply to the case of a woman who has been divorced or who has obtained a decree for divorce. In our view, therefore, this contention is not well founded." "6. The concept of living separately by mutual consent arises so long as the marriage subsists and the parties agree to live separately by consent. In other words, during the subsistence of the marriage, if the parties agree to live separately by mutual consent, no party is entitled to lay and claim for maintenance from the other party. 7. In view of the divorce agreement referred to hereinabove, the marital relations have come to a terminus. By virtue thereof, the respondent had already contracted the second marriage. In other words, the first marriage has been put to an end. The appellant thereby became entitled to claim maintenance and will continue to do so, so long as she remains unmarried and she is unable to maintain herself." 16. Testing the present factual matrix on the anvil of aforesaid enunciation of law it would appear that the non-applicant was legally wedded wife of the applicant prior to decree of divorce on 25/02/2002. It is also not in dispute that the non-applicant has not remarried after passing the decree of divorce under Section 13-B of the Hindu Marriage Act, 1955. 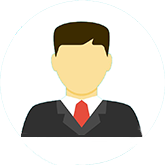 Thus, non-applicant/wife being divorced wife of the applicant-Rishikesh Singh alias T.R. Singh is entitled for maintenance under Section 125(1) read with Explanation (b) of the Cr. P.C. till she is not remarried and Section 125(4) of the Cr. P.C. would not be attracted as stated above. Thus, the Family Court is absolutely justified in granting maintenance to the non-applicant/wife. 17. Mr. Sharma, learned counsel for the applicant/husband would submit that the non-applicant/wife is practicing Advocate and is able to maintain herself and therefore, she is not entitled for maintenance. The fact remains that non-applicant/wife is junior Advocate and enrolled as an Advocate, only in the year 2004 and she is unable to maintain herself as such it cannot be held that she is not entitled for maintenance. 18. Now, coming to the quantum of maintenance, which the wife/non-applicant is entitled to; she has been granted maintenance to the extent of L 2,000/- per month. The fact remains that the applicant/husband is working as Senior Technician in Bhilai Steel Plant and getting L 18,000/- per month and amount of maintenance granted to the wife/non-applicant L 2,000/- per month cannot be said to be fair and reasonable amount of maintenance to a wife, who is an Advocate and unable to maintain herself. Taking into consideration rise in the cost of living, price index and basic needs of human being i.e. food, shelter etc., it would be appropriate to enhance the maintenance amount from L 2,000/- per month to L 3,000/- per month and further considering the facts and circumstances of the case the non-applicant/wife would be entitled the enhanced amount of maintenance w.e.f. 01/01/2011. Arrears of maintenance amount be paid to the non-applicant/wife within a period of 45 days from today. 19. Consequently, the criminal revision No. 399/2008 filed by the husband fails and is hereby dismissed, whereas, Criminal Revision No. 420/2008 filed by the wife is allowed to the extent indicated herein above. Criminal Procedure Code, Section 125 - Maintenance to divorced wife - Husband refused to give maintenance on ground that wife being practicing advocate was able to maintain itself - Wife was junior advocate and enrolled in 2004 - She was unable to maintain herself - She would be entitled to maintenance.